A website analysis is the best place to start when considering or beginning an SEO campaign. In order to execute successful SEO it makes sense to investigate where your problem areas lie and what needs immediate attention. A website analysis checks all of the structural elements of a website that are relevant to SEO. It makes sure that metadata is included where it is supposed to be and checks the quality of your internal and external links and anchors. Your analysis will also advise on how deep your pages are (how many clicks it takes to get to), how old (or last updated), if they take too long to load (kilobytes) and how accessible your website is to Search Engines (robots file and sitemap). 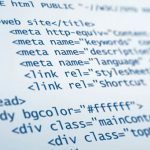 Making sure these important structural elements are correct not only ensures the Search Engines can correctly navigate their way around your website, it also lays a strong foundation for any future SEO work or adjustments. The website analysis will report on all of the on page elements to make sure that everything that should be on the site, is there, and that these elements are sufficiently optimized. This includes mainly menu, image and link data, such as titles and alt tags. Along with the analysis report, there will usually be a limited amount of keyword research and recommendations based on keywords that you initially supplied. These recommendations can act as a guide to whether you need to put in some extra research time to select a list of better targeted keywords or whether the ones you currently have, are going to work well for you. What Is Working Well For Your Site? Not everything in the website analysis is negative. The majority of websites have at least one good thing going for them, whether it is their design, colours, menu systems or great copy. Most business people have trouble seeing their website objectively, and often don’t realise or overlook their current assets. A little encouragement in these areas can turn a good thing into a great thing. Do you know what sites have links to you? There is quite a large importance placed on the amount of websites and the quality of those websites that link back to you. This is because having good quality links shows the Search Engines that your site contains relevant content and there is a bunch of other well ranked websites that think so too. Your website analysis will show you which sites are linking to you and the quality of these sites. Do you know what pages of your website have actually been found by search engines? The website analysis provides an indexed pages report which cover all the major search engines so you can see which pages have been found and which have been missed for some reason. The analysis also will contain a complete ranking report, which shows you where you are currently ranked for your selected keywords. As gaining popularity with the search engines is only 50% of the answer to increasing your website’s business, a good website analysis should include a human element. 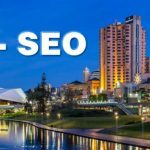 An SEO expert can manually scour your site checking that links go to the right place, your images are of decent quality and your site is aesthetically pleasing. As first impressions are quite important to people, your website should be up to standard and easy to use. 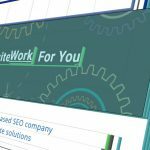 A manual assessment of the quality of your site’s content (how well it’s written, the spelling and grammar), the amount of content and its keyword usage will help to gauge your website’s standard. Your analysis should also give you advice about layout, usability and the reflection of your business and its individuality within the website. These are the points that influence people’s decision when they convert from browsers to buyers. One of the most useful aspects of the website analysis is that it puts your SEO needs into perspective. It is much easier to prioritise an already created list of things to do than it is to prioritise some categories that you know exist but know nothing about. 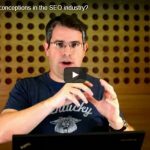 The analysis is a great way to gain understanding into the SEO process and see clearly what you need and why you need it. It’s also a good opportunity to take advantage of the SEO expert who performed the analysis and ask them as many questions about it as possible. When choosing who completes your initial website analysis, be wary of the ‘free website analysis’ that seems to be continually offered online by SEO companies. They all tend to be obligation free, but are they completing these reports with the welfare of your company in mind, or their own? There is no doubt that there is benefit to be gained, no matter who carries out your report, but keep in mind that companies that charge a small fee for this service are more likely to be open, honest and forthcoming with their findings, recommendations and advice than the ones who are using the service as a stepping stone to further sales. Not many people realise that they have the small errors within their website that create such a big impact to the search engines. Not many people know off hand what search engines are looking for. Usually it takes just a few minor adjustments to see some drastic results, but the only way to find out what needs tweaking without paying outright for the whole kit and kaboodle is to get yourself a website analysis. Every SEO company boasts different qualities and a different customer service focus. Shop around until you find a company that sits right with your values and personality. Get Seen Online focuses on the individuality and uniqueness of your business.